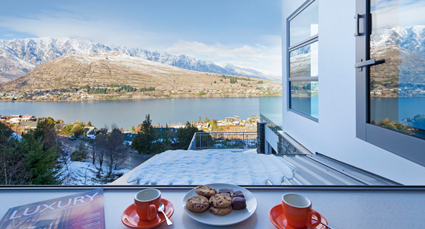 When you make your way to St Luke’s Private Villas and you first set your eyes upon the dramatic ranges of the Remarkables Mountain, you will have your breath taken away by the beauty and awe inspiring views of Mother Nature at its finest. 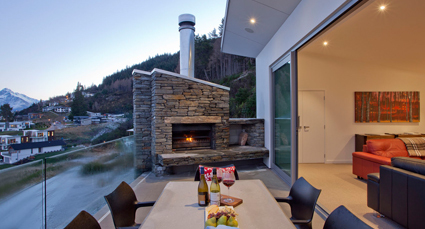 This is only the beginning of what you are about to see and experience in Queenstown, New Zealand. The lake and mountain scape of this area is suited to all kinds of adventure, such as skiing in the winter and activities such as sky diving, bungy jumping, canyon swinging, horse trekking, river rafting and jet boating. But if extreme sports aren’t your thing, why not just take the more relaxing options, like sightseeing tours, indulging yourself with spa treatments and tasting the delights of New Zealand’s renowned food and wine. There are rows of fabulous wineries dotted all around the Queenstown Lakes and Central Otago region, where you will find world-class wine and culinary delights that you will simply lose yourself in. Just minutes from Queenstown’s ski fields you will find superlative mountain hiking and walking, where you can hike one of the spectacular walks in the Fiordland National park, visit the peaceful serenity of Milford and Doubtful Sounds, take a bungy jump from the Nevis Bridge, or ski or snowboard at Coronet Peak or The Remarkables in the winter season (June to October). Queenstown simply has something for everyone to experience and enjoy when they make their visit and people who make the venture to this magnificently unique destination always leave feeling renewed and inspired.